I have only recently just finished reading “DESIGN YOUR LIFE” by Rachel Roy and in this book, she opines what I started ANKA to do here in Nigeria and hopefully all over the world. And this is that self-expression matters! You are in charge of your life and the choices you make. Therefore, the woman that you believe yourself to be or the woman that you are, can only be brought to life by the choices you make, which reflects through your personal and individual style. Self-image is not just about the outer appearance and what the world sees. Self-image is the balanced expression of your personality and unique qualities through your fashion and style choices. The saying that perception is stronger than reality is one that I strongly believe in and abide by and I’ll tell you why. In 7 seconds of meeting someone, the human mind makes a complete assessment and judgment call based on their outward appearance. So why would anyone want their outfit or look to portray what they are not? Remembering that there’s more to you that the clothes on your back, why wear them if they say nothing about you? As women, we juggle so many things and wear so many hats. We are mother, sister, friend, entrepreneur, full time worker, wife, board member etc and we have to be able to let the world see the beauty in every facet of our lives through our deliberate fashion and style choices. Trust me, this is not as tasking and calculated as it seems and you don’t need expensive clothes or a wardrobe full of clothes to express yourself. The trick is to dress for all the personalities that you are and always wear an outfit that represents your truth because you never know where the day might take you! Style tip: Swap your regular leggings and t-shirt with flip flops for shinny leggings and a crisp white shirt with sandals or slip-ons when running errands and you will still look and feel stylish. Remember that although comfort is key, it must not be detrimental. A question I get asked ever so often is “How can I show my personality through my work clothes?” I have created a scenario below that I hope will answer this question for you. Ngozi and Uche are a sales associate and a lawyer respectively. They are both expected to dress smart and corporate to work every day. Ngozi is allowed to wear some colour but nothing too bright and distracting, while Uche can only wear white, black and grey as the nature of her job demands it. In both cases, it is easy to tell that they will regard their working uniform as “BORING” but it doesn’t have to be. This is where self-image comes in – remember it is the balance of personalities and uniqueness whose expression is seen through fashion and style. Ngozi is a lover of colour, art, fine dining and jazz music amongst other things while Uche is an introvert. She loves to read, listen to opera music, meditate and sometimes play dress up out of her mother’s closet. 1) NGOZI Loves Art: She can draw inspiration from the artist themselves, the shades & tones of colours used to paint, the fashion in the city the artist lives, the meaning she gets from the art, the era the art represents, the texture of the canvas, the type of frame and so on. This means that, if the artist is French living in Paris, for example, Ngozi can draw inspiration from the classic sales woman in Paris and add her own spin of colour and textures to express herself. She can opt for a suit with a flayed skirt instead of the classic pencil skirt, she can wear pleats and stripes to add that parisenne flair, wear peg legged trousers instead of wide legged pants, use skinny belts instead of the big ones for the modern take etc. 2) UCHE Loves to Read: Books have a way of making you time travel while being in the same place. It creates a fantasy for you. They also have a way of being very detailed and this is where all the inspiration will come from. The type of books that Uche reads can serve as an inspiration to the woman she projects. If she reads a lot of mills and boons, for example, she can be inspired to dress like a romantic/sweet person. 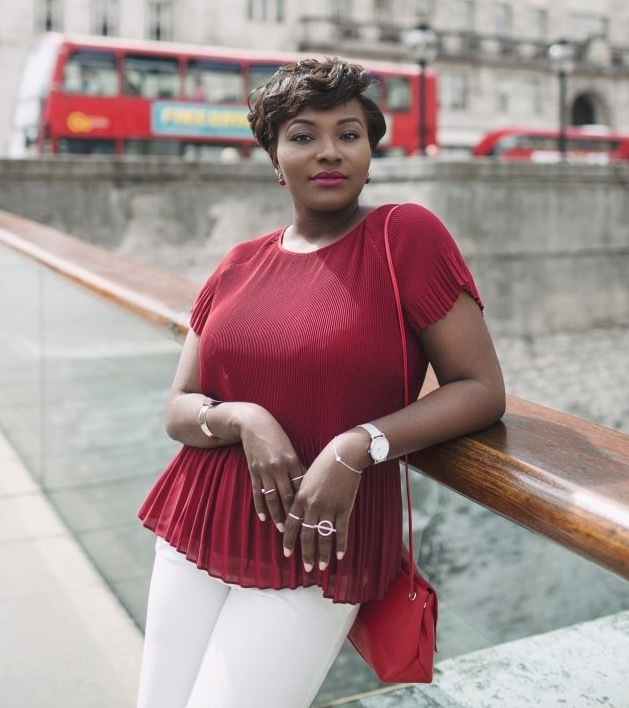 Romantic in fashion is interpreted by colours like pink, blush, ivory but since Uche is only allowed to wear certain colours, she can add romantic textures such as frills, ribbons, peter pan collars etc. to express her romantic side through clothes, while looking like a smart lawyer. For both ladies, and all of us, the tip is to create and stay connected to your inspiration and to do this, you must have a vision board. In my next post, I’ll teach you how to create a vision board and talk about what to wear to a networking event, just in time for the mixer! I hope this post was helpful and it inspired you in a multitude of ways. 1. “I want everyone to wear what they want and mix it in their own way. That, to me, is what is modern.” – KARL LAGERFIELD. 2. “Always keep your eyes open. Keep watching. Because whatever you see can inspire you”. – GRACE CODDINGTON. 5. “The reason most people don’t understand their style is because they do not truly understand themselves. They do not know who they are in the center of their being.” – UZO UKEGBU. Please follow us on Instagram: @theankaofficial Please reach out to us on: team@ankaofficial.com we’ll love to hear from you. She is the founder and principal style coach at ANKA, established in 2016 with a burning passion to impact, re-purpose and redefine the importance of self-expression in the minds of women when making fashion and style choices.